Do you need to move a tree? No matter what the reason is that you need tree transplanting, Las Vegas Superior Tree Service is here to help you. You paid good money for those trees when you first had them planted into your property. There’s no sense in wasting your investment. If you’re not happy with your trees as they are, why not have them transplanted? If you don’t do it right though, you could kill the tree. So instead, let our experienced professionals do the job. 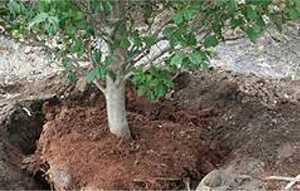 For tree transplanting services in the Las Vegas area.